Now titled "Reviews", the review section began life as "Forecasts." For several years, that title was taken literally; reviews were followed with italicized comments that attempted to predict a book's sales success. Genevieve Stuttaford, who greatly expanded the number of reviews during her tenure as the nonfiction "Forecasts" editor, joined the PW staff in 1975. Previously, she was a Saturday Review associate editor, reviewer for Kirkus Reviews and for 12 years on the staff of the San Francisco Chronicle. 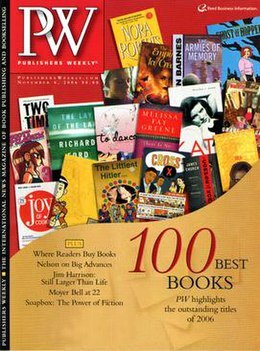 During the 23 years Stuttaford was with Publishers Weekly, book reviewing was increased from an average of 3,800 titles a year in the 1970s to well over 6,500 titles in 1997. She retired in 1998.